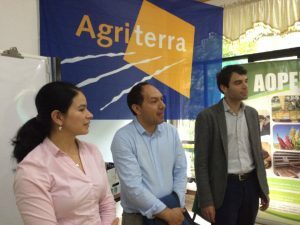 Ninoska González Herrera is Agriterra’s business advisor of Bolivia and Peru! This week she explains why Bolivian agricultural products are incredibly on trend! Ninoska: “A major part of the work we do at Agriterra is making sure that farmer cooperatives know themselves properly. How much do you produce each year? How much do you lose in transport? What are the input costs, etc. We start any advice program with a proper analysis of the governance and financial position of the cooperative. It often takes quite a lot of effort and time to collect the right figures and information. But once we’ve established proper bookkeeping procedures with the cooperative (and their individual farmers) you notice that farmers are immediately empowered. I’m really proud when farmer cooperatives start to realize their market potential and the value of their products. This strengthens their negotiation position enormously! We also work directly with farmers to improve their every farming practices to make them more sustainable and less reliant on external input. With the soy producers of the ANAPO organisation in Santa Cruz we have achieved remarkable improvement of yields while also making their soy production more sustainable. We have done this through different activities, such as demonstration plots, field days, and information bulletins. We like to be hands on and practical at Agriterra and our cooperative/organization partners appreciate this approach. Quinoa has been one of the staple products of Bolivia for hundreds of years. We have seen an enormous increase in the interest and sales of the grain internationally in the last few years. Our quinoa farmer organizations harvest organic quinoa for resellers in Spain, Japan, Germany, Italy, United Kingdom and France. To improve their exporting position we worked with the organized quinoa producers of ANAPQUI towards an ‘integrated beekeeping software’ which improved information about all kinds of processes. The organization is building a new factory that is looking great! They will renovate and replace machinery, thus reducing losses and improving quality of the quinoa. Cacao is another premium product which is grown in Bolivia. A major realignment is currently happening in the world of cacao: the international cacao sector has declared that all major chocolate producers want to source only sustainable cacao from 2020 onwards. This offers enormous possibilities for Bolivian cacao farmers who often by default already produce organic cacao. Most of the cacao that is exported is certified through third parties like Fairtrade, UTZ or the organic label. 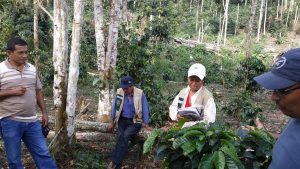 In essence many farmer cooperatives in Bolivia have a ‘first movers’ advantage! “Quinoa, organic coffee and cacao the last years have grown into aspirational and hip products. Alpaca wool is another one luxury product that is native to Bolivia. The alpaca is an international symbol for softness and cuddliness because of its wool, but in Bolivia they are considered as the ‘camel of the Andes’ because of their Pre-Colombian legacy. 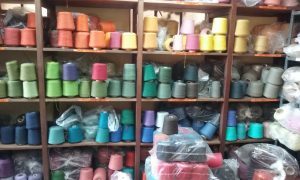 Nevertheless, when you work with their wool you do get incredibly soft material. We have a great alpaca farmer company COPROCA looking for new clients in the Netherlands. We know there’s a big market out there of customers that really appreciates 100% alpaca wool, so if any parties are interested; let me know!